The French Aristocracy spent a considerable amount of time trying to get away from the people they ruled. 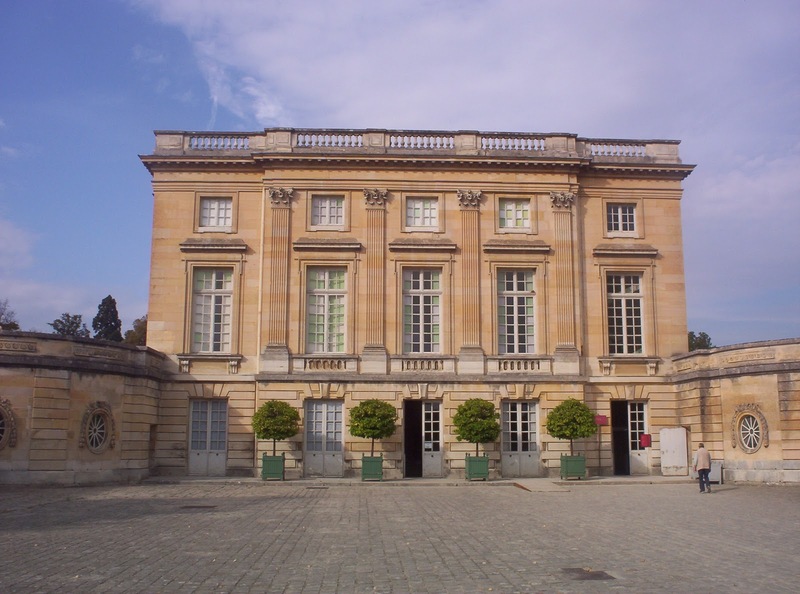 The first French palaces, where the kings would live, were in the center of Paris. The need to escape the mob drove the ruling class to construct the palaces that are now The Louvre, which was on the outskirts of the city. When the city pressed to tightly on these palaces, the French kings moved to Versailles, which is quite far from the city. 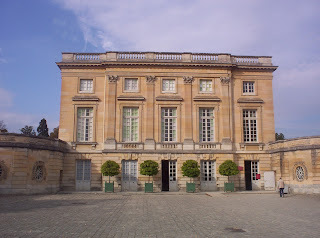 Finally, even Versailles was too much for Marie Antoinette, who decided to have her own Petit Trianon built. In a time of financial strife, when the people were starving, the little Marie spent a small fortune creating a refuge for herself far from the people. Maybe this is why the French Monarchy came to such a dark end, the monarchy seemed to spend more tax money trying to escape the people than trying to help the people. The people starved, suffered and died but the monarchy and aristocracy just kept building more and more expensive palaces further and further from anyplace they could see the suffering of the people. The Petit Trianon is amazingly beautiful. Marie Antoinette made it a little piece of heaven, but it is soaked in blood and forever a symbol of the aristocratic oppression of the French people. It is not surprising that this disquieting place in known to be haunted and lost in time. It is not only known for its numerous ghosts, but also for its strange time slips. A plethora of ghosts have been seen wandering the serene grounds of this sanctuary. Workers in eighteenth-century clothing are seen milling about. 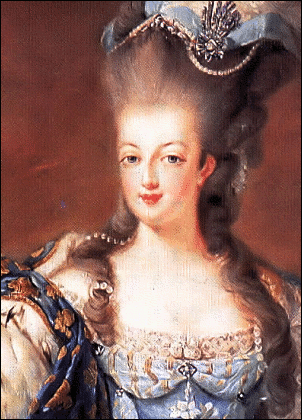 Marie Antoinette and her many visitors and friends have been seen in the building and gardens. Strange noises have been reported throughout the Petit Trianon. Phantoms call this small palace home. 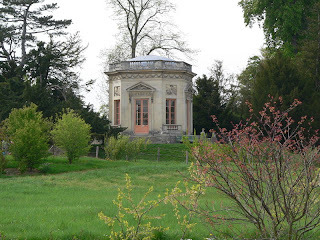 One of the most interesting stories from the Petit Trianon involve a group of people that went into the building at the turn of last century for a tour. The building, which had once been crowded with people, suddenly became very empty. The silence was uncanny and the group wandered for what seemed like forever trying to figure out what had happened. Finally, a lovely lady appeared seated on a terrace. As they approached the lady, a footman came and drove them out off the terrace into a crowd of people. As they left, they realized that not only had no time passed since their arrival and their departure, but the woman they had seen on the terrace matched the picture of Marie Antoinette perfectly. Ghosts and time travel are an interesting mix. Who's to say that ghosts have nothing to do with survival after death, but are just an unknown feature of how time works, maybe a temporal hiccup that allows us to see things from the past and maybe the future. Great story. It's such a beautiful place to visit and it's scarred by the travesty of innumerable injustices. Such as the Silversmiths son who fell into the molten silver used to create the hall of mirrors while skimming the slag from the crucible. Apparently he can be seen looking back at you every now and then..Lovely post mate! Cheers! Scared... I was thinking the same thing. It seemed like what they saw was more of a window in time than a ghost. Jeffrey... It really is beautiful. It is too bad that so many had to suffer so it could be built. I've read about this place but it didn't occur to me that it might be haunted. very cool story!